Partagas Legend pays tribute to the historical figures that brought this venerable brand to prominence. The attributes they set forth – elegance, discernment and meticulous construction – ring true in this three-cigar collection. 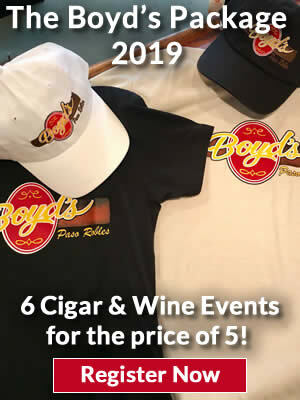 Handcrafted of the finest aged tobaccos, the blend has been masterfully configured with deeply aged Dominican and Honduran Olancho San Agustin leaves and is crowned with a lustrous Connecticut Broadleaf wrapper. The result is a layered, nuanced collection with pleasant notes of cocoa and earth. The box-pressed vitolas are presented in sophisticated, white lacquered boxes. 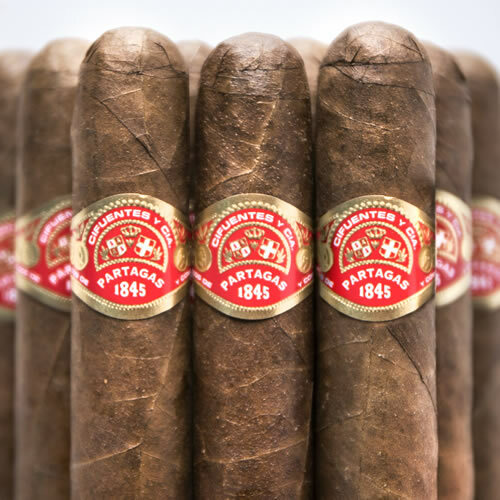 Partagas wrappers are still grown in Cameroon, where the hot, foggy, sub-tropical African climate is ideal for cultivating full-flavored leaves that cannot be produced in any other part of the world. Renowned for their model construction and signature taste, Partagas cigars are enticingly flavored, with rich, spicy notes for a profound, deeply structured smoking experience. It is no wonder that Partagas cigars are preferred by influential cigar enthusiasts who demand the ultimate in taste and craftsmanship. 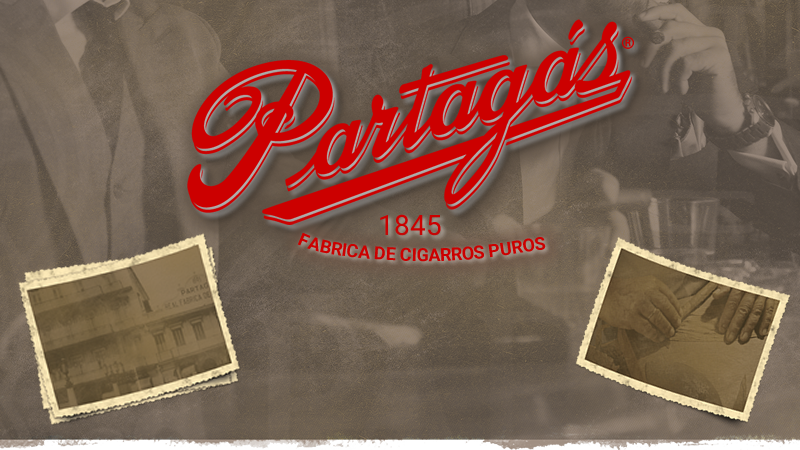 Partagas 1845 is the culmination of 167 years of heritage and expert cigar making. Under the guidance of the legendary Benji Menendez, the Dominican and Nicaraguan blend was developed with proprietary tobaccos, each aged in Dominican rum barrels. The Connecticut Habano binder, developed by General Cigar, imparts a touch of sweetness and allows the lustrous Ecuadoran Habano Viso wrapper to shine. Subtle hints of coffee and cocoa impart layers of complexity, resulting in a sublime smoking experience. Extra Fuerte blends unmistakable Nicaraguan spice with a lush Ecuadoran Habano ligero wrapper for a memorable smoke that combines intensity with complexity. 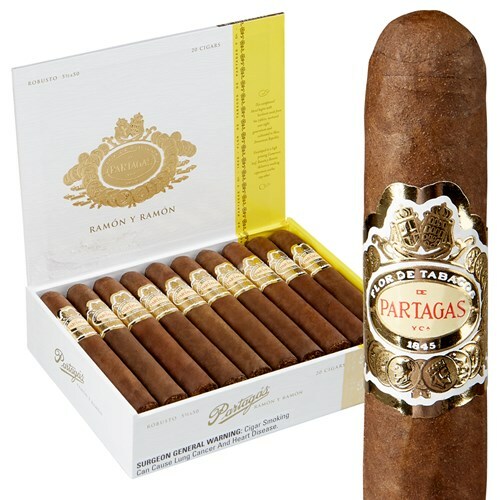 Partagás honors its heritage with Ramon y Ramon, a collection encompassing rare tobaccos and vintage seeds from a time when Cuban cigar legend Ramon Cifuentes oversaw tobacco growing for the brand. In a proprietary process of regeneration developed by in-house agronomists, a special variety of old-world Dominican tobacco was restored solely for this cigar. This vintage tobacco is paired with Nicaraguan Jalapa and Dominican Piloto Cubano and is bound with a Dominican leaf. With a rich and opulent high-priming Cameroon wrapper from the Belita region, the blend of Ramon y Ramon builds upon the essence of Partagás, yielding an exciting smoke that is at once sweet, extremely flavorful with hints of pepper, strong and sublime. 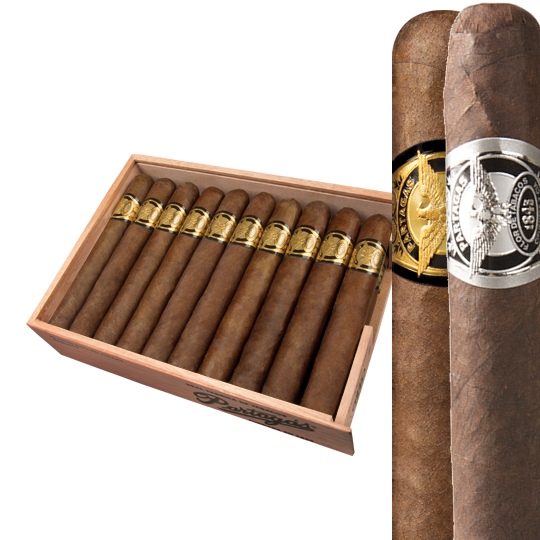 Full flavored and full bodied, Partagas Black Label cigars have been named to Robb Report’s “Best of the Best” list and were also bestowed with a 90 rating from Cigar Insider. 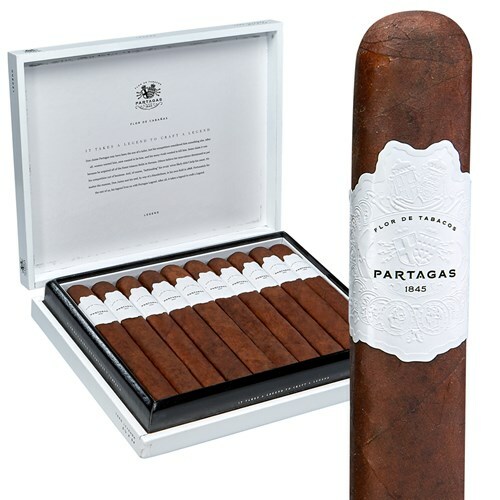 The star of Partagas Black Label cigars is its wrapper, a well-oiled Connecticut Medio Tiempo leaf that is proprietary to General Cigar. 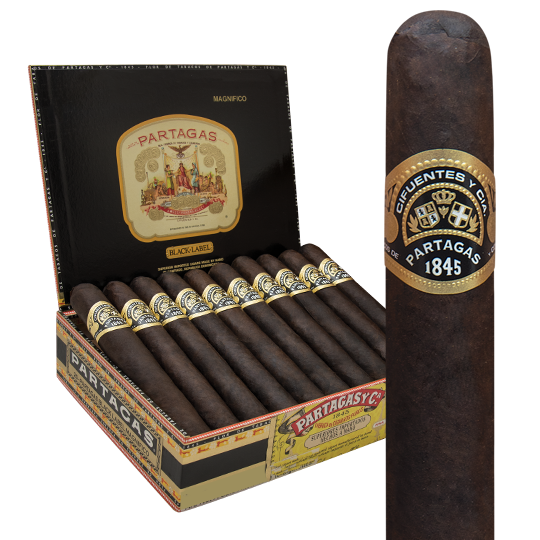 When blended with Nicaraguan and Dominican ligero and bound with a Dominican binder developed by General Cigar, the unmistakable, bold flavor of Partagas Black Label cigars is coveted by tenured cigar enthusiasts.